If it’s a European discovery you’re after, Marco Polo has the cruise for you. Take a quick cruise break of one to five nights, a six to 11 night getaway, or longer cruises of up to 22 nights some of which visit the Arctic. With a myriad of departure ports in England, Scotland and Wales, you can integrate a cruise aboard Marco Polo into any British travel itinerary. While Marco Polo spends most of her time navigating the gorgeous coastlines of Europe, her schedule is punctuated with journeys outside of European waters. Witness the stunning landscapes of Canada, tropical islands of the Caribbean, cultural smorgasbord of South America and the rugged wilderness of Africa. 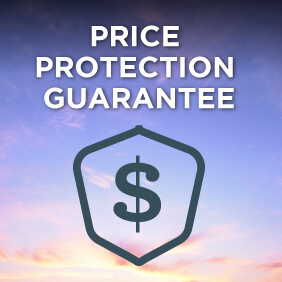 View all Marco Polo cruises or view more options for Cruise & Maritime Voyages. 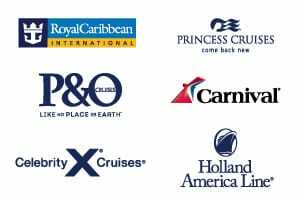 On selected cruises we are introducing our new light hearted ‘Audience With …’ where you are invited to listen to an invited guest speaker or performer talk about their life experience and expert knowledge interspersed with questions from you, the audience. This offers you a great chance to become involved and be a part of the fun. Having trialled these with selected eminent guests, our audiences have loved them, we hope you will too. Marco Polo offers a traditional maritime experience in cosy surroundings. Discover a wide range of comfortable lounges and stylish leisure facilities to enrich your time on board. 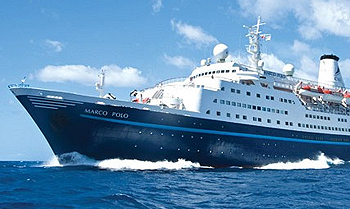 Watch Marco Polo on The Travel Channel’s Cruise Today and see for yourself. Our maitre’d and his attentive waiting staff will welcome you to the elegant Waldorf Restaurant where you can opt for a full English breakfast, savour a leisurely five-course lunch and enjoy a delightful dinner every day of your cruise. Whilst breakfasts and lunches are generally served in the restaurant on an open seating basis, two fixed time sittings are operated for dinner in the evening. As a casual alternative, the light and airy Marco’s Restaurant is open every day for buffet style breakfast, lunches and dinner. Here informality is the key and you can feel free to drop in without any ceremony. The Pool Deck lends itself particularly well to al fresco meals so a buffet breakfast or lunch from Marco’s can be served up with a complimentary ocean view! Why not settle down and enjoy wonderful panoramic ocean views in the relaxing Palm Garden, or in a secluded corner of the delightful Columbus Lounge where the head barman will soon get to know your favourite drink. At the very heart of Marco Polo is the stylish Captain’s Club, a popular place to meet fellow passengers. To start your evening you might opt for a pre-dinner drink here and enjoy a few of your favourite melodies played by our resident pianist . After dinner the show team would enjoy the pleasure of your company in the comfortable theatre-style Marco Polo Lounge as our artists display their talents in a snappily choreographed revue or colourful floorshow – all you need to do is just sit back and enjoy. Scotts Bar is an ideal spot for evening entertainment and late night dancing for the night owls! Located on Amundsen Deck, Scotts has direct access to the outside and a view of the pool deck below. At the very heart of Marco Polo is the stylish Captain’s Club, a popular place to meet fellow passengers. To start your evening you might opt for a pre-dinner drink here and enjoy a few of your favourite melodies played by our resident pianist. After dinner the show team would enjoy the pleasure of your company in the comfortable theatre-style Marco Polo Lounge as our artists display their talents in a snappily choreographed revue or colourful floorshow – all you need to do is just sit back and enjoy. Our maitre’d and his attentive waiting staff will welcome you to the elegant Waldorf Restaurant where you can opt for a full English breakfast, savor a leisurely five-course lunch and enjoy a delightful dinner every day of your cruise. The beautifully appointed Jade Wellness Centre is natures secret of well being on the Marco Polo. It offers hairdressing & beauty treatments, fitness and exercise equipment, and sauna and massage facilities. Why not indulge yourself with lifes most perfect gifts: relaxation, invigoration and rejuvenation. Treat yourself to a spa package and design your own special day.